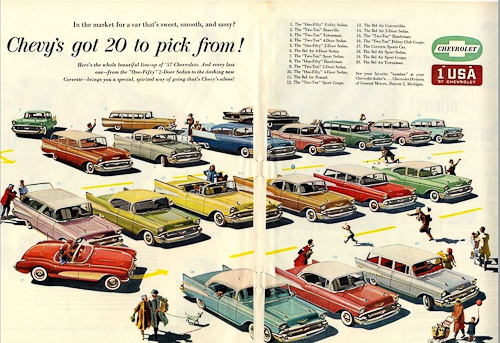 When it comes to studying design in the 1950s, this 1957 Chevy ad is classic: A rainbow of eye-popping pastels, design that is long and low and angles and flourishes that suggest speed. 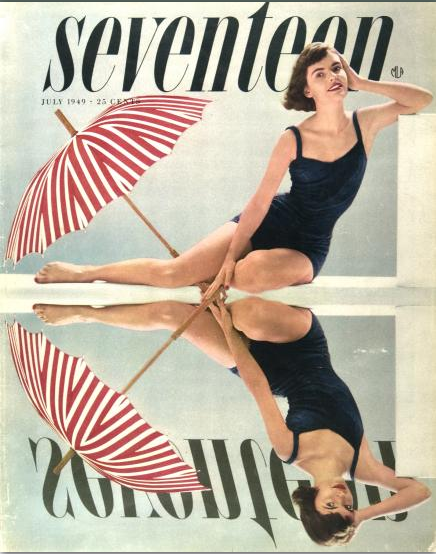 But just like today, there wasn’t just “one” look in the 1950s — there were several. Some looks gained popularity as technology, tastes and social mores evolved… while some ran concurrently, recognizing that the U.S. is a diverse, individualistic, creative nation. 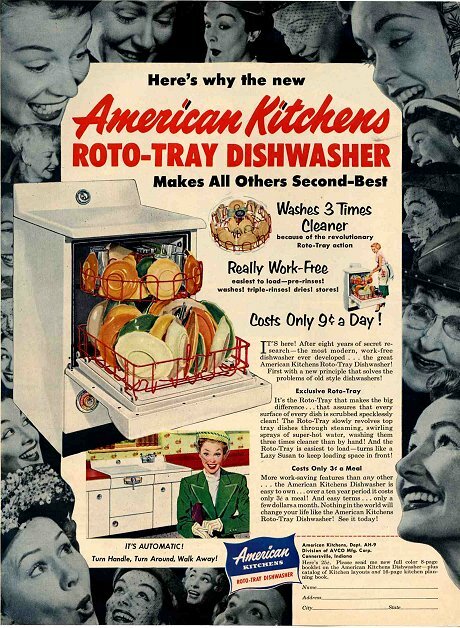 That doesn’t mean, however, that the advertising and design of the ’50s is not to be taken seriously. 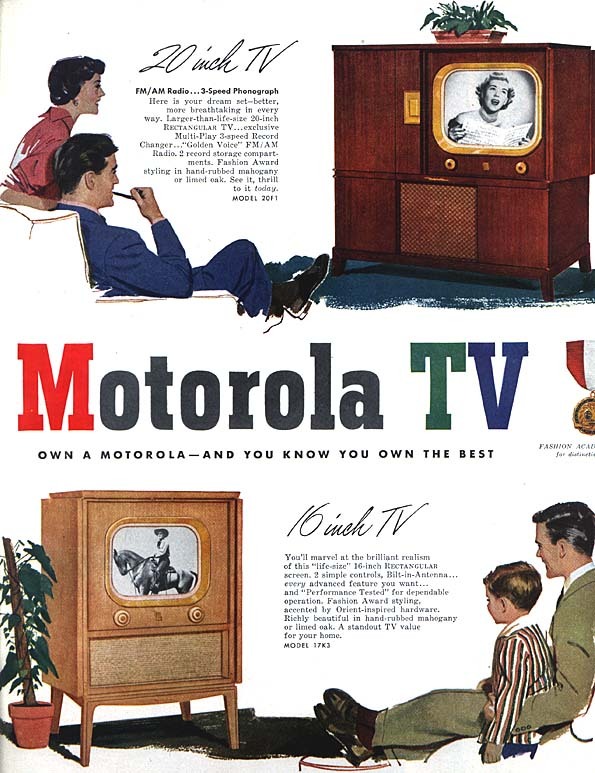 The mid-century modern period was dominated by American innovations. Inspired by European avante-garde early modern approaches, American designers developed a unique style and several influential designers emerged. 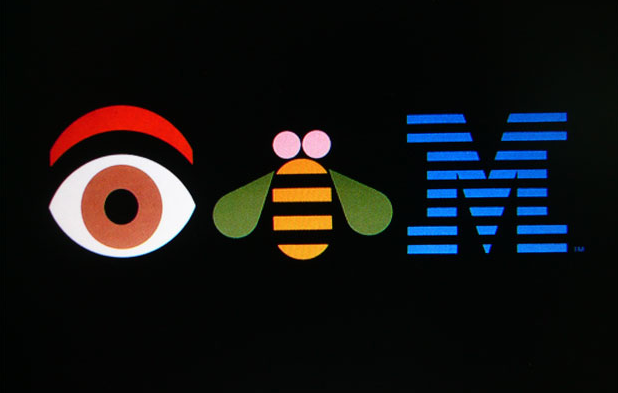 Paul Rand (1914-96) was a pioneering figure in American graphic design. Adopting what he called a ‘problem-solving’ approach, he drew on the ideas of European avant-garde art movements, such as Cubism, Constructivism and De Stijl, and synthesized them to produce his own distinctive graphic language. As an art director, teacher, writer and design consultant to companies including IBM and UPS, he was a major force and influence in the field of graphics and visual communication. When the reels of film for Otto Preminger’s controversial new drugs movie, The Man with the Golden Arm, arrived at US movie theatres in 1955, a note was stuck on the cans, “Projectionists – pull curtain before titles”. Until then, the lists of cast and crew members which passed for movie titles were so dull that projectionists only pulled back the curtains to reveal the screen once they’d finished. But Preminger wanted his audience to see The Man with the Golden Arm’s titles as an integral part of the film. 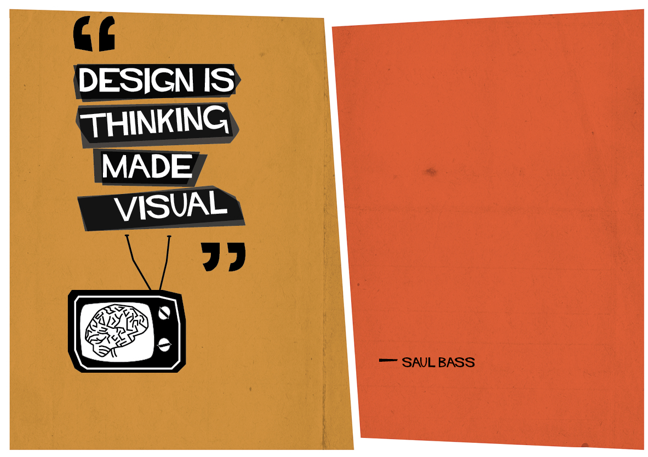 It was so well received by audiences, that a new graphic medium was born: motion graphics. Bass was also know for designing major corporate identity for United Airlines, Quaker Oats, AT&T, and many others.